What did it cost to get it repaired? I do a lot of DIY in other areas so may be up to working on the sub if needed. (Currently work on a Nissan Xterra offroad mods and car sound system, build furniture, etc so eventually would like to get into it with audio also) I do like the RSW look as well, the full 15 inch copper drive almost seems a bit much. Plus with the 63's, 64, and 61's they are all 6.5inch copper and I think that looks good with the RSW actually. Are these still something your considering selling? I go to NY periodically to visit family...Curious if they were for sale finish color and price. 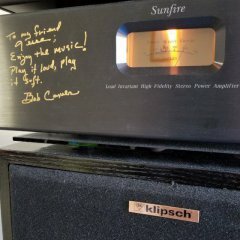 Hello everyone, I'm new to the forum and have been starting my Klipsch obsession over the past few months. 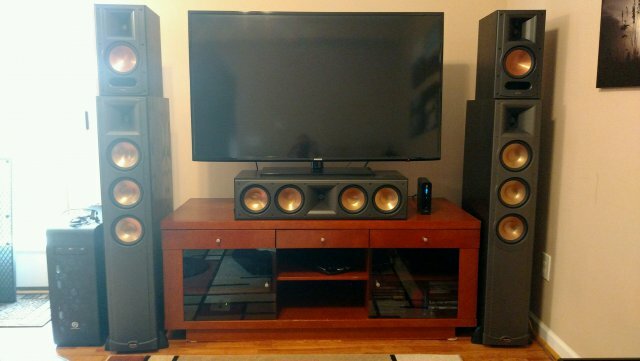 Through craigslist I've picked up the following system and looking to upgrade my sub to have more volume to match the floorstanding and center channel and also hit the lower range so you can feel it more during movies. Klipsch RF-63's Klipsch RC-64 Klipsch RB-61's (use for surrounds) I currently have a Klipsch R-12SW I'm debating between a used Klipsch RSW-15 advertised for $600 local pick up an hour from me, and can try to talk him down to $500 or buying a new open box R-115 for $650 deliver included. 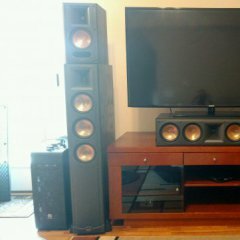 Based on research the RSW was more expensive when it was new and may be more "musical" and potentially the R-115 has better qualities for Home Theater. My question simply put is with price relatively equal does the RSW-15 significantly beat the R-115 to justify buying a much older used sub? Eventually I'd like to add some true surrounds in for 7.1 and also when I move consider going to a 7.2 purchasing a second sub. Also considering Atmos as well which would then be 9.1 or 9.2 Curious to hear everyone's thoughts on the Subs and what you would do! Thank you in advance to anyone taking time to respond.